Beautiful home in one of the most desirable areas of San Antonio. Home features an amazing outdoor living space with over $50,000 in upgrades including outdoor grill, covered patio, large multi level deck and backs to a greenbelt. Inside is loaded with upgrades with upgraded granite in the kitchen and baths, bay window and coffered ceiling in master, rain shower in the master bath and a huge master closet with 3 hanging levels, upgraded flooring throughout and stamped concrete details. This home has it all! 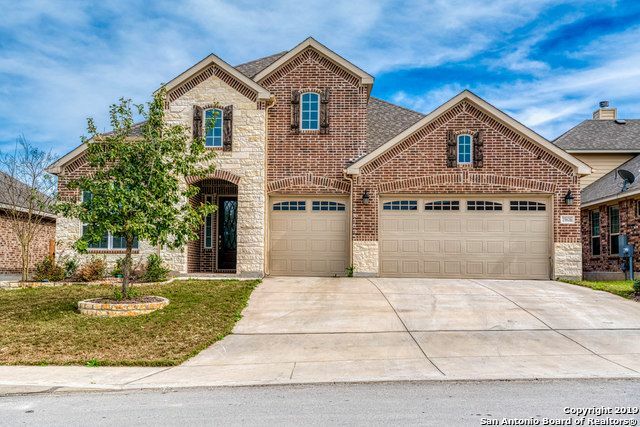 25626 Vista Bella, San Antonio, TX 78260 is a 3 bedroom, 2.5 bathroom, 2,677 sqft single-family home built in 2016. This property is not currently available for sale.